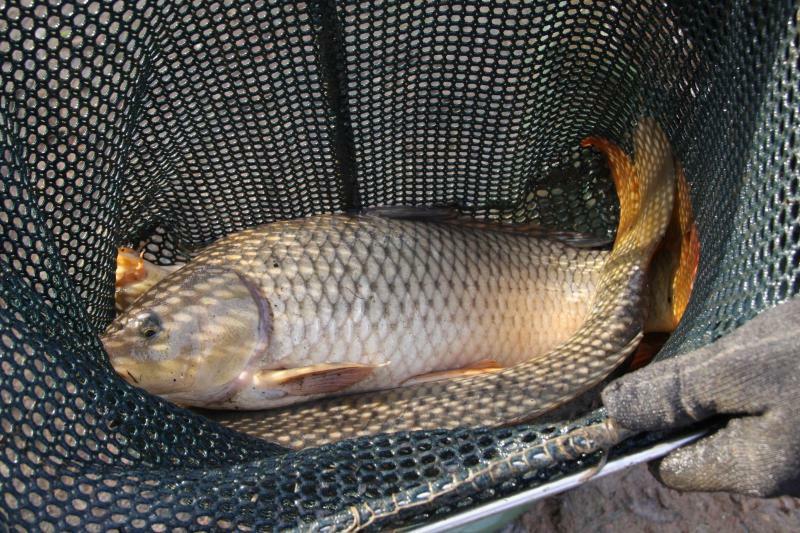 These are the large fish that have bred in the Pit for a number of years and have caused problems, not only by eating all the vegetation and smaller fish & creatures in the pit, but their presence has attracted fishermen from all over the North West, fishing illegally mainly at night, as the fish were so huge. 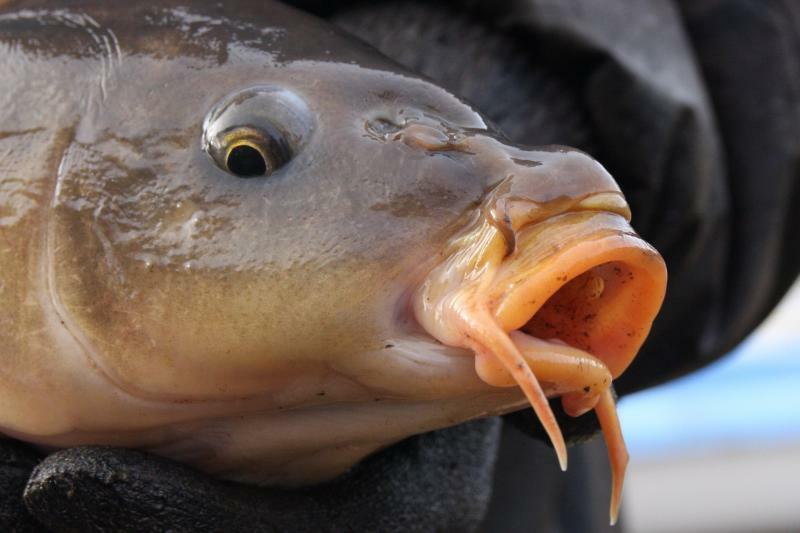 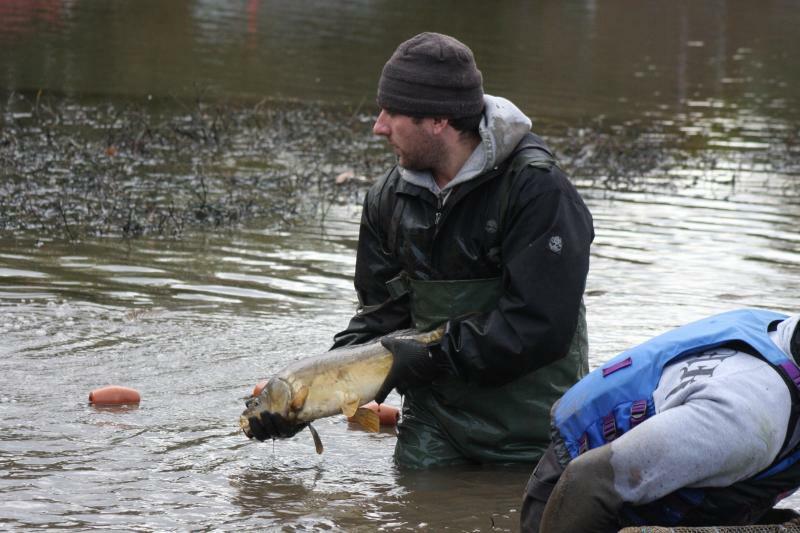 Members of the Pit Group have seen these monsters from time to time, usually when spawning in the spring, but had no inkling of the huge numbers and massive size of these fish until an organised catch by Warrington Anglers earlier this week. 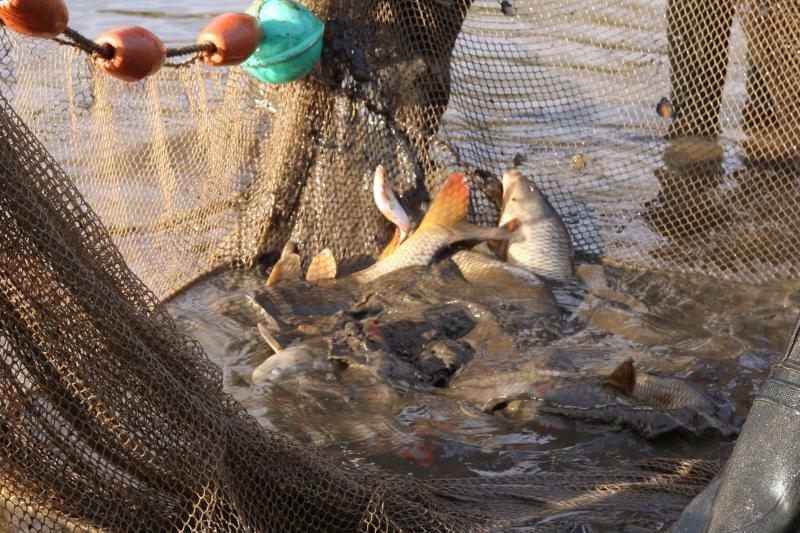 We were absolutely astounded when the large net containing these fish was pulled to the side of the Pit. 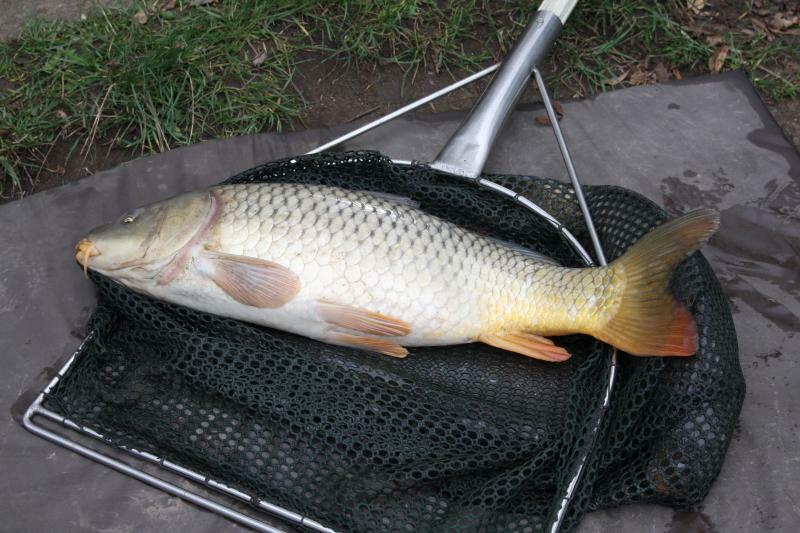 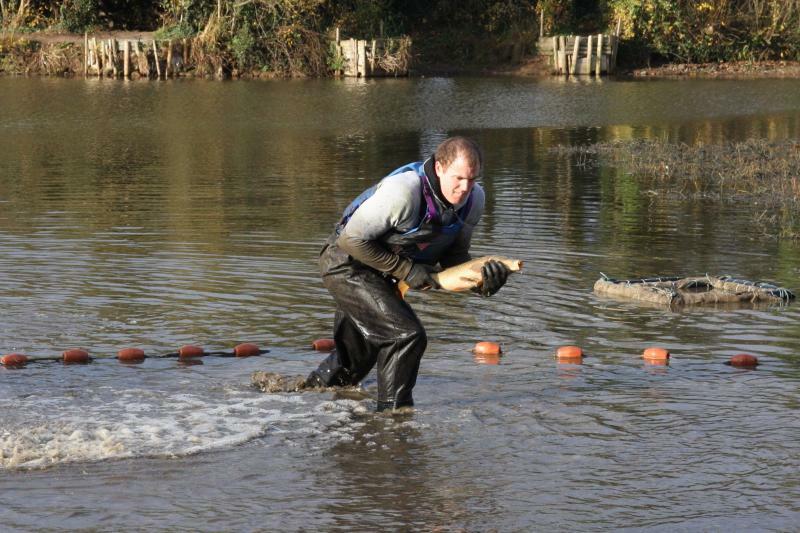 There were at least 200 fish between 15 - 20lbs in weight mainly common & mirror carp, with several bream. 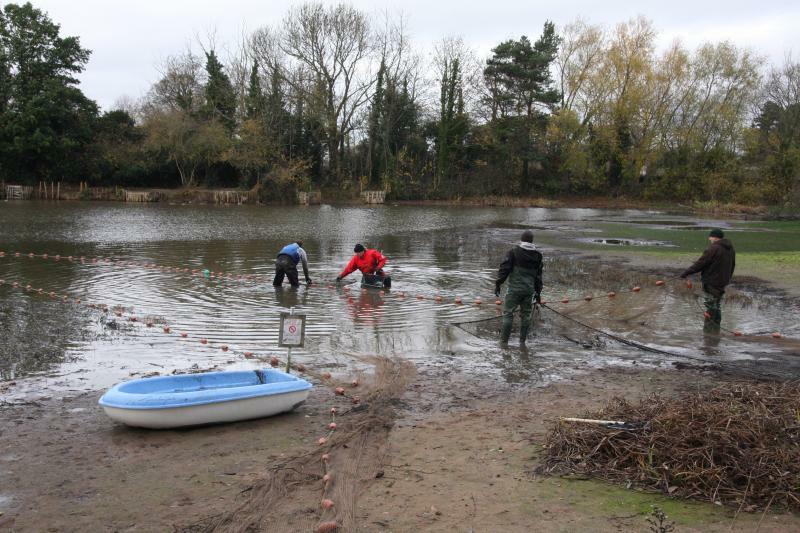 All were in excellent condition, and were removed to a bigger and deeper pool for their survival, and hopefully remove a major problem for the residents living around the Pit who have been aware of this illegal fishing for some time. 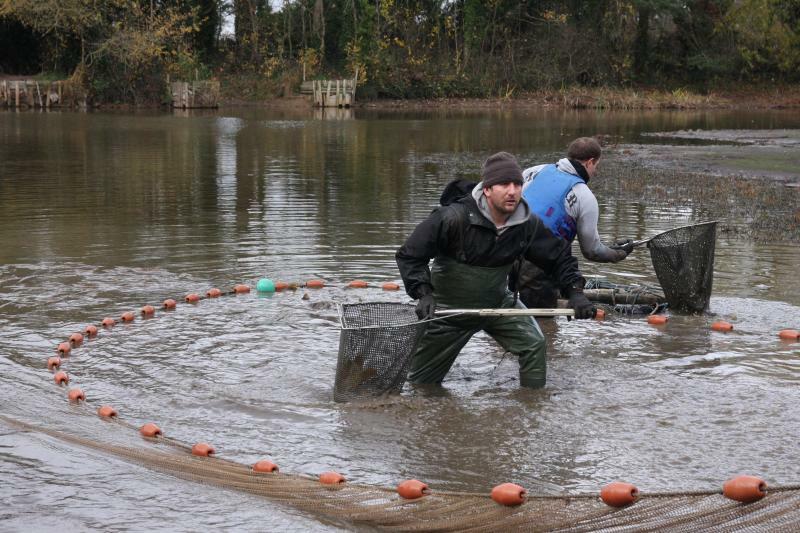 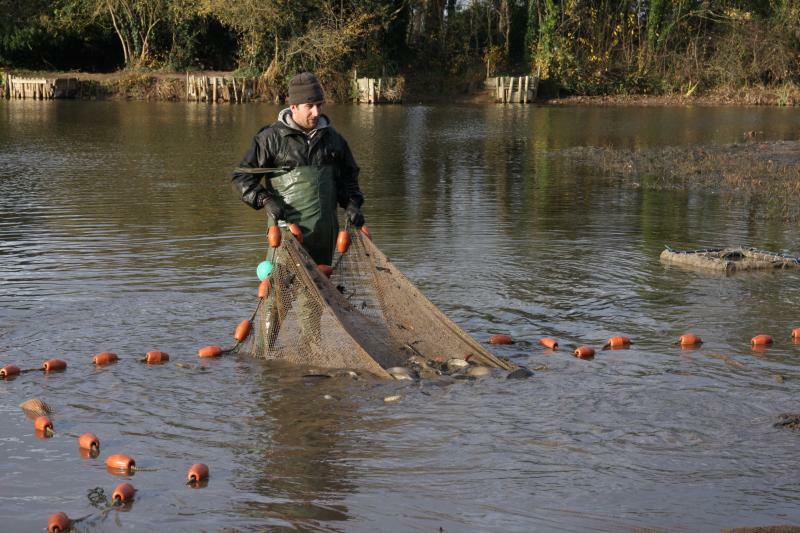 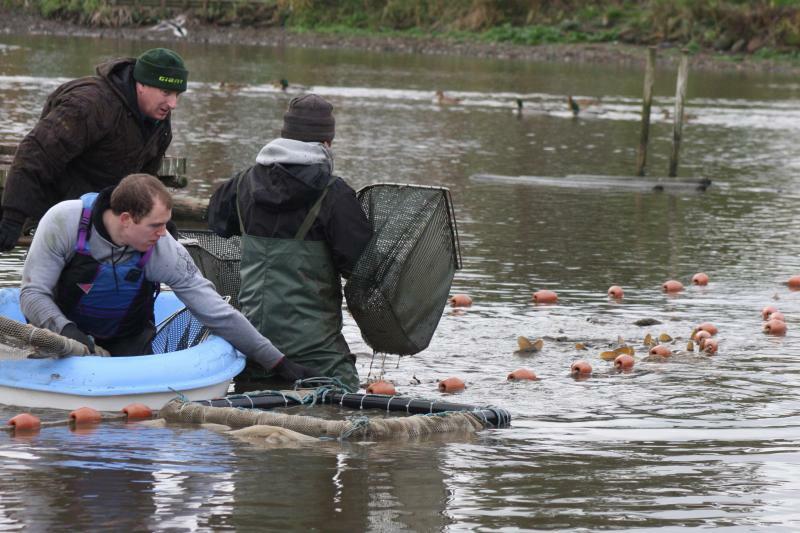 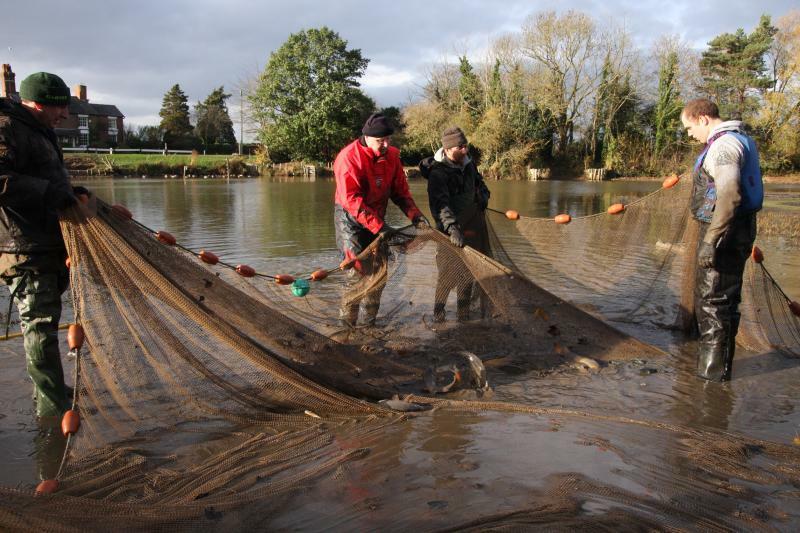 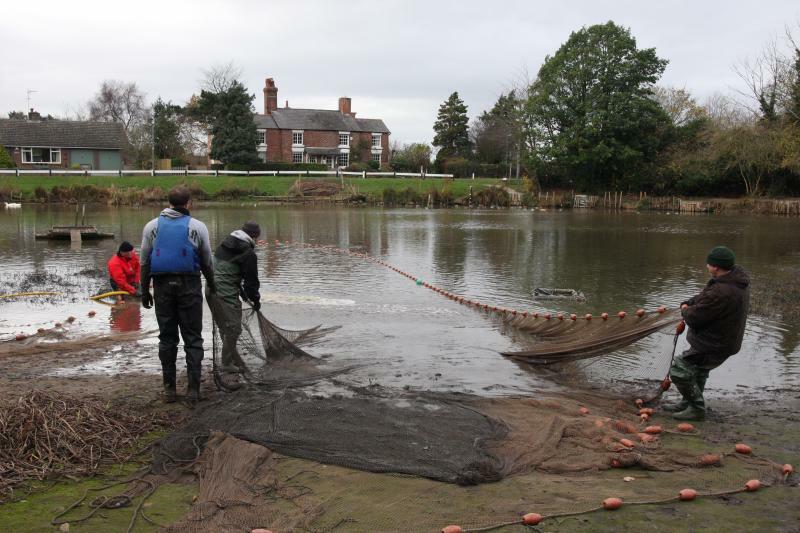 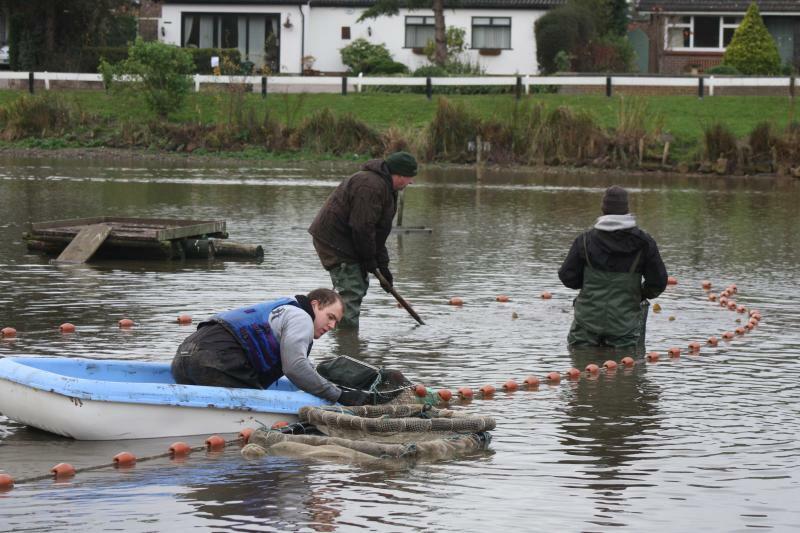 With the approval of the Parish Council, Warrington Anglers were invited to remove the fish, and take them to a new home in a deep pool at Buckley. 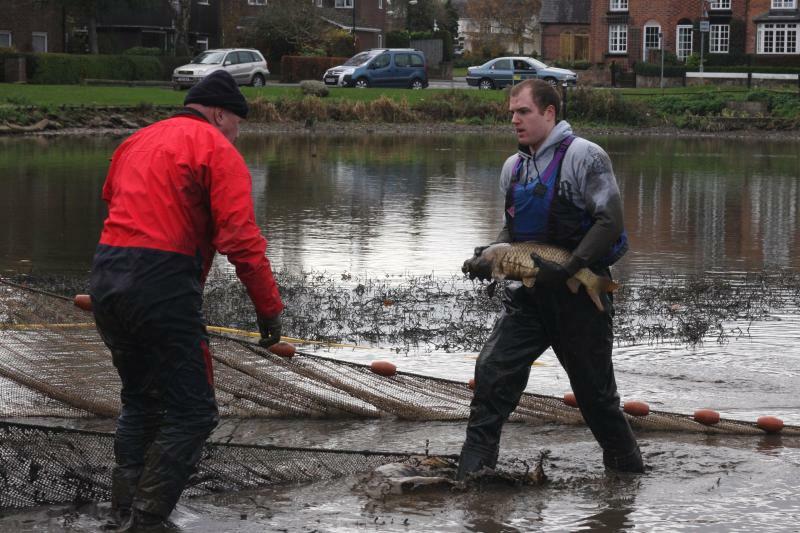 We hope that this will defuse the situation in Christleton, and leave the remaining small fish, roach, perch, bream, tench and the famous large free swimming goldfish behind for our youngsters. 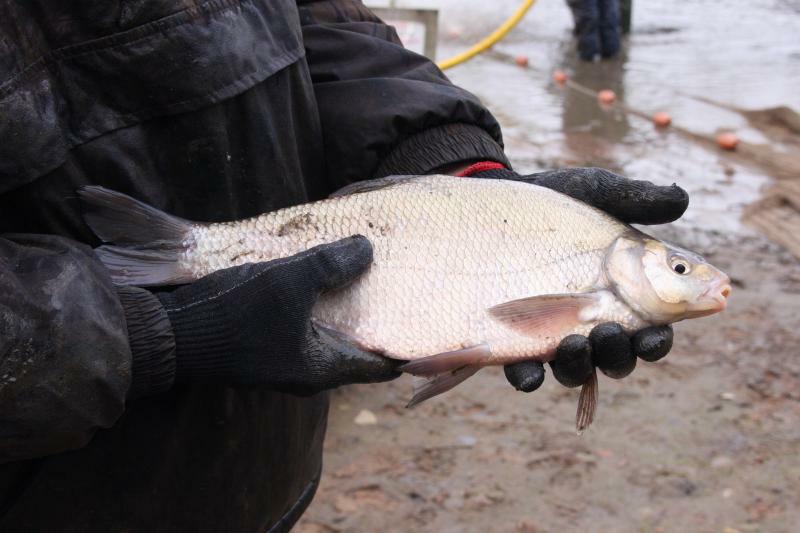 The water quality at the Pit is also currently very poor, the lack of rainfall causing the oxygen level to decrease, and so the fish removed will have a better chance of survival in their new home. 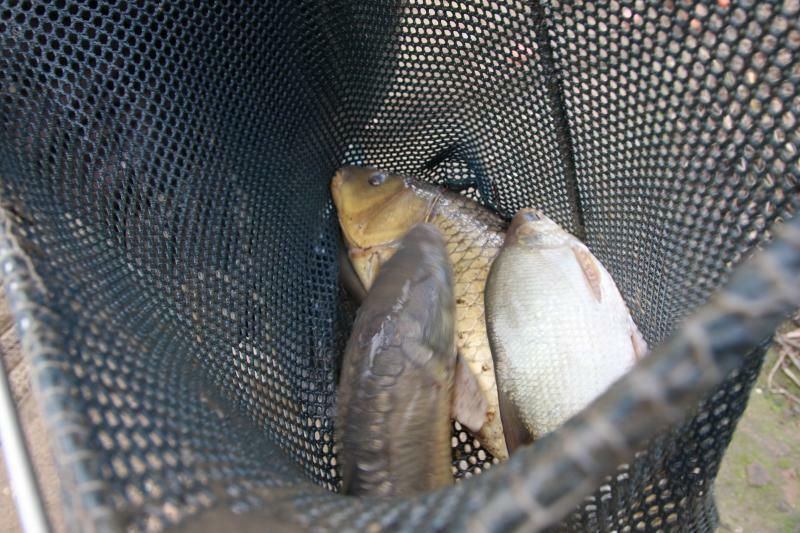 They were transported in four huge tanks on the back of a trailer, and were certainly the “Catch of the Day” for 2011.